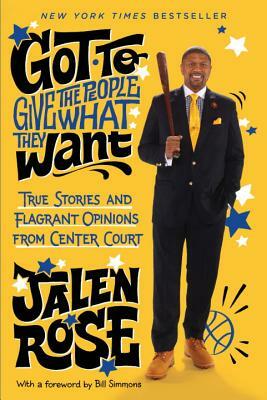 JALEN ROSE is an ABC/ESPN analyst, executive producer of The Fab Five—the highest-rated documentary in ESPN history—and host of the Jalen Rose Report on Grantland and the Jacoby Podcast. Rose began his sports career at the University of Michigan where he reached two NCAA title games, and then went on to play for six teams in the NBA, most notably the Indiana Pacers when they made three consecutive Eastern Conference finals, including the 2000 NBA Finals. Rose established the Jalen Rose Foundation/Charitable Fund in 2000, personally donating close to $1.5 million to support the development and education of inner-city youths. His most substantial outreach initiative to date is the establishment of the Jalen Rose Leadership Academy (JRLA) in his hometown of Detroit.